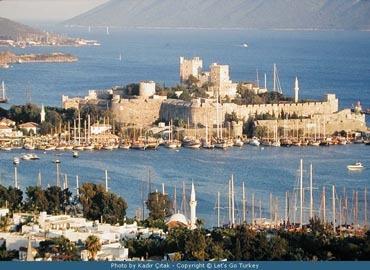 Bodrum, the ancient Halicarnassus, is Turkey's tourism capital. Offering everything from very upscale and quiet bays, to trendy hotspots along with a variety of restaurants, hotels and clubs, Bodrum is always lively whatever the season is. Bodrum has always been an attraction for the well traveled and well heeled clientele. It is 45 minutes away from Istanbul and serviced by charters directly throughout the summer. Turkey has just recently been rated as the third best country to invest in summer properties and Bodrum peninsula is the ideal location to minimize investment risk. Our real estate partner, Genesis Advisors, selected unique properties ranging from 132.000 Euros to 950.000 Euros after an extensive research in the Bodrum area with the sole purpose of finding the “hidden jewels”. Genesis Advisors is an Istanbul-based privately-owned firm focused on the management of real estate assets, from acquisitions to divesture. The multinational team has combined their years of experience in real estate and international financial markets. They provide real estate solutions to a range of clients, corporations as well as first-time individual buyers. Genesis Advisors has enabled by in-depth knowledge of the Turkish real estate sector to identify and secure exceptional investment opportunities. you detailed information on current portfolio. For more Bodrum photos, please click here.